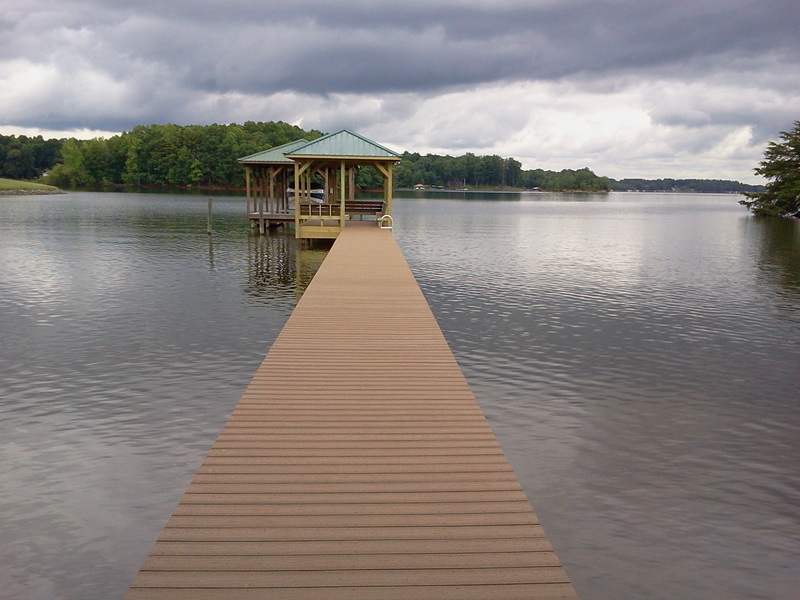 Lake Norman pier & covered dock built by Henderson Building Group using Evergrain composite decking material to provide a smooth long lasting feel. Interested in a pier or dock? Contact Henderson Building Group at 704-201-1429 or send us an email.